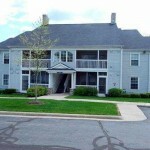 Huron Commons Condos in Dexter, Michigan is such a great place to live, work, and play! Huron Commons is located 15 minutes northwest of Ann Arbor. Dexter combines convenience to work, fantastic local schools, as well as offering a number of great amenities. There is a great selection of real estate for sale as well. 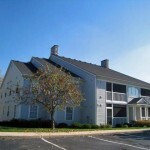 Huron Commons is located on the banks of the Huron River southeast of downtown Dexter, which makes Huron Commons Condos the perfect place to live! Huron Commons Condo’s is a small development of 7 Condo Buildings and Parking Garages for approximately 70 condominiums units in a country setting. Tucked away near the railway line in Dexter and walking distance to downtown Dexter. Read the entire Recreation Report for walking trails in the works for Dexter, Michigan.. The community has plenty of green space and trees giving Huron Commons a distinctly rural feel. 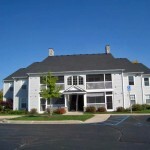 Take a tour of this condominium complex. 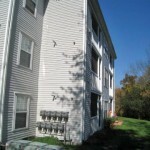 These two and three bedroom units are spacious at just over 1000 feet in most cases and many units have their own garage! The Huron Commons units benefit from a great community association which has reasonable dues in the $200 range. 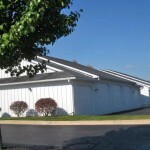 The association takes care of outdoor maintenance, trash & snow removal as well as window cleaning. 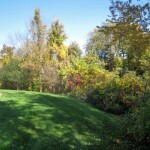 Dexter is convenient to lots of fun and activity, for instance, Hudson Mills Golf Course and Hudson Mills Metropolitan Park. No matter which way you go, you’ll find yourself surrounded by plenty of biking, hiking, walking and cross country ski trails. Independence County Park has fun for everyone with swimming, fishing, boating, biking, disc golf, and bring your roller blades along and ride the paved pathways. Take Jennings Road north to the park off Territorial towards US-23 expressway. These parks are some of the best in the state. Here are some of the other plans the recreation committee for Dexter has in the works. Looking for the perfect gift for a friend who loves feeding birds; gardening; or has pets to care for, then stop in at the Dexter Mill. Check out your favorite new best seller at the Dexter Library – a state-of-the-art public library located along Mill Creek just off Main Street. Learn about the history of Dexter at the Dexter Historical Society. And did you know that Dexter, Michigan has their own Dexter Community Orchestra and Dexter Community Band so join soon if you are musically inclined. Dexter Daze is also a great community event for all ages hosting live entertainment, food, and artisan booths throughout downtown Dexter in The Ann Arbor Country Club is located between Dexter and Ann Arbor. Downtown Ann Arbor is only a 20 minute drive away.